We All Have Friends And Family That Have Those Birthdays, Graduations And Other Events That We Like To Buy Presents For! Make It Simple And Make It Special! 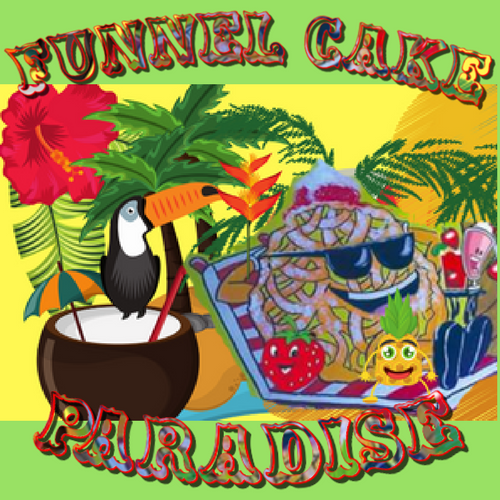 Get Gift Cards From Funnel Cake Paradise! Everybody Loves Food & We Make The Best! Join Our Loyalty Program-Get Great Free Stuff! We Offering Catering For All Of Dallas-Ft Worth Metro Area! We have Grilled Chicken N Shrimp or Fried Chicken Salads & Smoked Turkey Legs. Check Our Amazing Catering Menu And Give Us A Call! Great Pricing And Great Food! Let Us Make Your Next Event Or Party Special! CALL US NOW! Or Send Us An Email! We Will Get In Touch Right Away! Funnel Cake Paradise,"Home of the best funnel cakes in the world" is the first in the Dallas/Fort Worth area since 2011 to offer funnel cakes year round. We have over 69 different delicious funnel cakes and 66 different Chicken & Waffles for you to enjoy along with 9 different Wing or Chicken Strip baskets. Fair foods such as Doritos Nachos, Hand Dipped Corn Dogs, Frito Pies, Waffle Fries, Chili Cheese Waffles fries, Kool Aid Pickles & More- Stop By & Eat With Us! We Would Love To Have You! ORDER ONLINE ABOVE! The First In The Dallas/Fort Worth Area Since 2011 To Offer Funnel Cakes Year Round. Event-Party Catering Available For Dallas, Ft Worth, Duncanville, Cedar Hill, North Dallas, Garland, Mesquite, Plano, Mansfield And All Surrounding Areas In Between! "Home Of The Best Funnel Cakes In The World"
Allow us to Cater your Luncheon, Meeting, Snack Bar, or Get Together. Our Salads and Turkey Legs are Delicious. Our Gourmet Popcorn & Cotton Candy are second to none! Call or email us for details.